Apr. 14–SEOUL, South Korea — North Korea’s leader and President Donald Trump said this weekend that the door remains open for diplomacy but gave no hints about how the impasse over nuclear weapons could be resolved. Kim Jong Un, newly christened at home as the supreme representative of all the Korean people, said Friday that he is open to a third summit with Trump despite the abrupt breakdown of their previous meeting in Vietnam. He warned continued deadlock risked reviving tensions and set an end-of-year deadline for the United States to offer a mutually acceptable approach to negotiations. The Trump administration has said the Feb. 27-28 Hanoi summit ended without agreement because the North made excessive demands for relief from economic sanctions in exchange for limited disarmament measures. “As wind is bound to bring waves, the U.S. open hostile policy toward (North Korea) will naturally bring our corresponding acts,” Kim said, according to the state-run Korean Central News Agency. His remarks were made in a policy speech to the North’s parliamentary body, a day after Trump met with South Korean President Moon Jae-in in Washington. Trump said Thursday that he may be open to discussing smaller steps such as humanitarian relief, but he insisted that punishing economic sanctions would remain in place. Analysts said that Kim seemed to be officially rejecting the “big deal” approach while leaving room for more negotiations. “It’s clear he’s interested in continuing with diplomacy, but he’s also throwing the ball back into Washington’s court and trying to press it to be more flexible,” said Duyeon Kim, a Seoul-based expert on Korean affairs with the Center for a New American Security. She is advocating for the two sides to develop a comprehensive roadmap that would lay out pathways to achieve denuclearization, a peace treaty and a normalization of relations. The developments suggest neither side is eager to return to the escalating military threats that raised fears of a new war as the North conducted a series of nuclear and missile tests in 2016-17. But Kim signaled his patience was growing thin. “Of course, we also attach importance to the settlement of the issue through dialogue and negotiations,” he said, according to KCNA’s English translation of his remarks. “We will wait for a bold decision from the U.S., with patience till the end of the year but I think it will definitely be difficult to get such a good opportunity as the previous summit,” he added. Secretary of State Mike Pompeo said the two countries “have continued to have conversations” and that Kim had personally committed to denuclearization. “We have work to do, but I am confident we’ll continue to make progress,” he said during a press conference Saturday in Paraguay. Kim and Trump agreed in their first summit on June 12 in Singapore to work toward the “complete denuclearization of the Korean Peninsula.” But the two sides have failed to agree on what that means and how it should be achieved. Kim did not mention denuclearization in his speech. Instead, he called for increasing the country’s military might. “Self-reliant national defense capabilities constitute a powerful treasured sword for defending the sovereignty of the country,” he said, using common rhetoric. He also appealed to South Korea to stop acting as a “mediator” and to implement joint economic initiatives and other agreements made in three inter-Korean summits since April 27. Seoul, a staunch U.S. ally that hosts 28,500 troops, has called for sanctions to be eased to allow joint projects such as modernizing railways to move forward. Eric Gomez, a policy analyst with the Cato Institute, a libertarian U.S. think tank, said some sanctions relief would help South Korea in its efforts to improve ties. 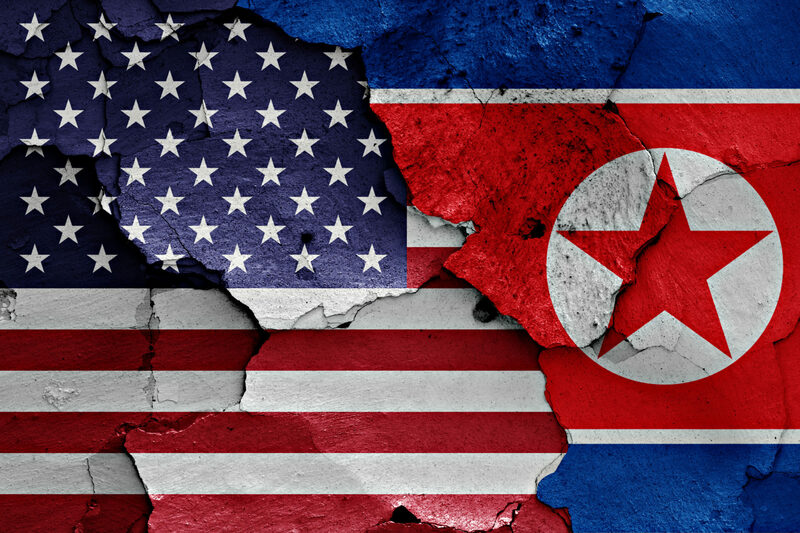 North Korea “can afford to hold out for a better deal while also driving a wedge between Seoul and Washington by appealing to Moon’s desire for progress,” Gomez said. “The United States should loosen its position somewhat and lay out what kinds of measures it would be willing to take in return for specific, and limited, North Korean actions,” he said. Rep. Ami Bera, a California Democrat who is a member of the House Foreign Affairs Committee, agreed, adding it’s important for the allies to show solidarity. “I don’t think we should reward North Korea for doing nothing,” he told Stars and Stripes on Friday in a telephone interview. “Our sense in Congress is North Korea has not made any demonstrable moves towards denuclearization and ultimately that’s the goal,” he added. This article is written by Kim Gamel from Stars and Stripes and was legally licensed via the Tribune Content Agency through the NewsCred publisher network. Please direct all licensing questions to legal@newscred.com.